Good morning and good month!!! 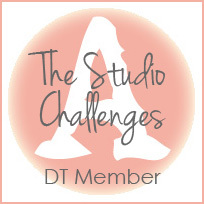 First day of November today, which means a new challenge over at Scrapbookers in Greece. This month Katerina asked us to make a layout about a moment that made us smile. It can be a phone call, a thought or an image, a coffee meeting with friends, our child's smile, an everyday moment. For the following clouds instead of pattern paper I used white flock - it is a bit more visible than in my previous cards I think? For the journaling I saw the other day a great idea at Two peas in a bucket that I really liked... you actually sew the lines for the journaling (it is obvious how much I like my new sewing machine, right?). I let the twine to fall naturally around the journaling and in some points I used a bit of matte gel medium to glue it. So, that's all from me for now... I hope you like it! Why don't you come over at Scrapbooking in Greece to get some amazing inspiration from the design team and play along with us? There is a super prize for the winner as well! PS: I have subscribed to Shimelle's latest workshop Scrapbook Remix which is about mixing patterned paper collections. I used a couple of separate patterned papers that are quite old and cannot find them online anymore, and also papers from different collection... it is quite soothing cutting and using loads of old papers that have been accumulating this last year! 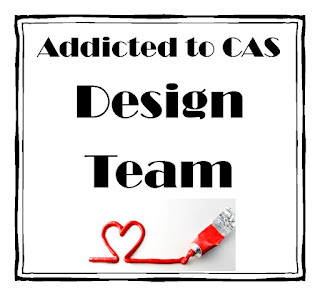 Addicted to CAS - Challenge #1!! !